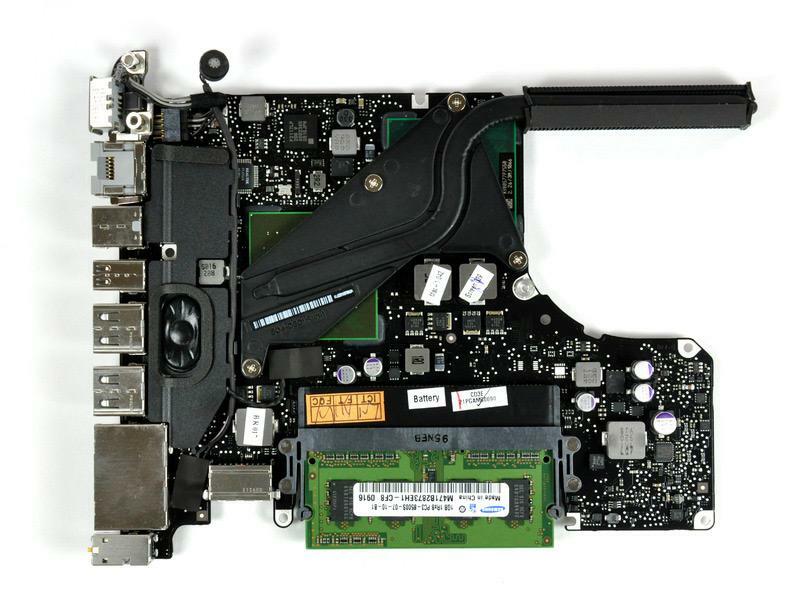 A dissection of Apple's first 13-inch MacBook Pro shows the company may have run out of real estate to create a slot that would completely conceal SD cards but also points to certain do-it-yourself upgrades being near-trivial jobs for prospective owners. 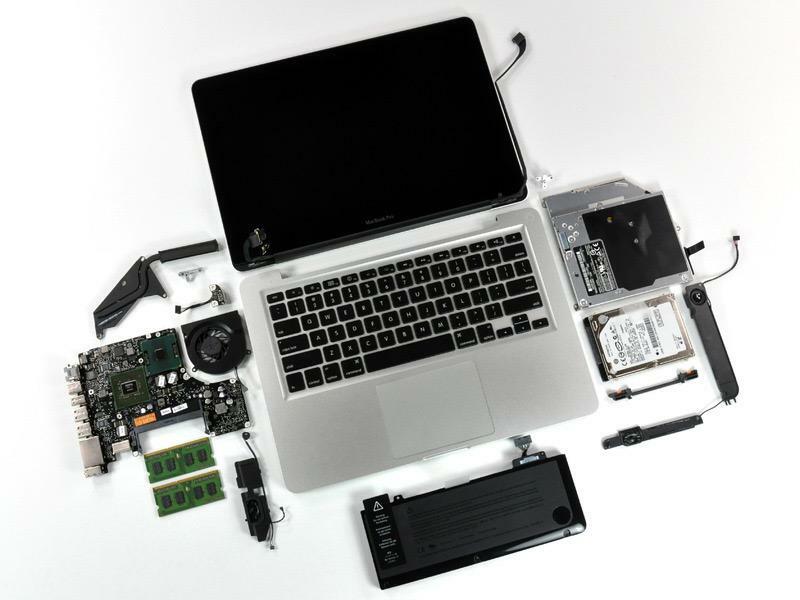 The undisputed teardown experts at iFixit have just completed their step-by-step illustrated disassembly of the latest member of the MacBook Pro family, in which they note that the system's new SD card slot "is rather unimaginative" given that "half the card hangs out of the side of the computer." 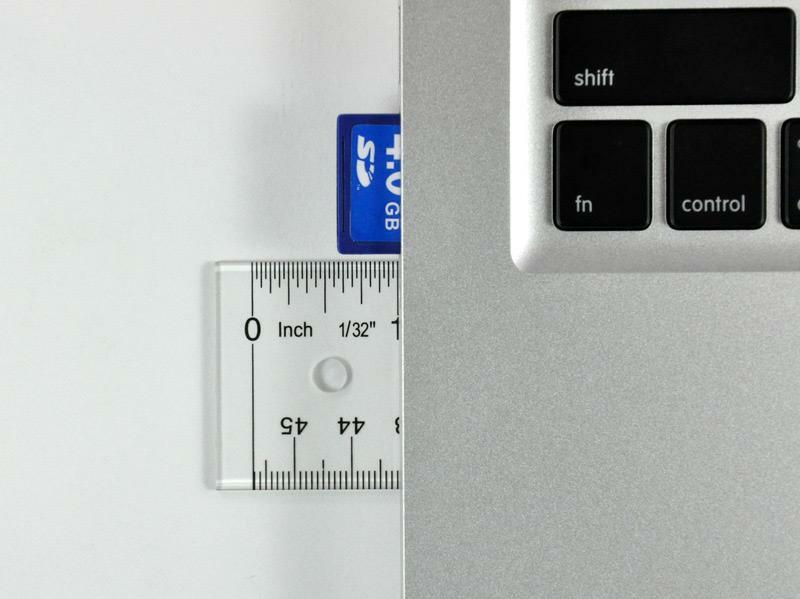 "Apple couldn't free up enough space for a slot that would make the card completely captive," representatives for upgrade solutions provider told AppleInsider. As with the MacBook Air and 17-inch MacBook Pro, removing the battery is simple enough that it can be done quickly, likely to allowing technicians to swap out batteries at Apple retail stores in a matter of minutes. All that's needed is a small Phillips screwdriver to open the case and a tri-wing screwdriver to remove the battery. It's also noted that the mid wall dividing the MacBook Pro is now attached to the top case, unlike in previous models where it was was held in by four Phillips screws. iFixit believes this may be a move on Apple's part to help out its do-it-yourself customers. "Aside from a couple of visual cues found outside, a casual user would not be able to discern if this was a [unibody] MacBook or MacBook Pro," the firm added. 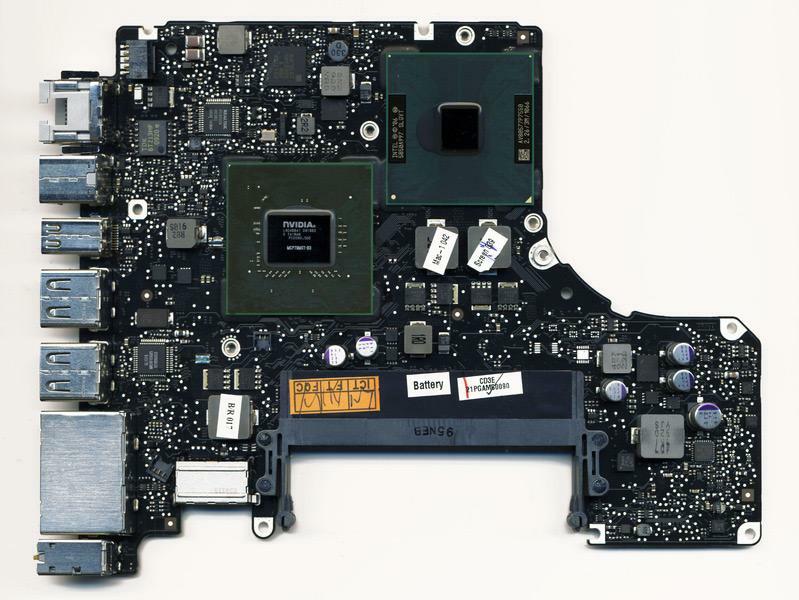 "Most screw layouts and brackets are identical to the old [unibody] MacBook." Also discovered was a slightly heavier battery at 360 grams (compared to 302 g for the old one). However, it offers 60 Watt-hours of power, compared to the lighter battery's 45 W-h. And given that its connectors, size, and shape are different from the battery in the 13-inch unibody MacBook, the new battery isn't interchangeable with last year's models. Meanwhile, those users looking for beefier storage options will find that the system's 2.5-inch hard drive is easy to remove and is again only held in place with screws. RAM is still located in readily-accessible slots. Those determined to replace other components have a slightly more advanced challenge ahead of them, but —with the exception of more obviously complex tasks like pulling the logic board —are still comparatively straightforward. The optical drive, system fan and subwoofer all require little to be moved clear. As such, Apple's design changes may thwart some on-the-spot upgrades but appears to strike a balance between restricted designs like the MacBook Air or pre-unibody MacBook Pro and the particularly easy access afforded by plastic MacBooks and first-run unibody computers. For more photos and detailed disassembly instructions, check out iFixit's complete two-page guide.